This second offering in Davis' Genre: Music series defies singular musical styles. 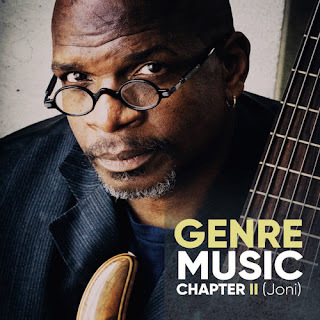 Enlisting the help of many of his friends and colleagues, this 14-track album contains a unique blend of styles which the bassist and producer refers to simply as "music", with influences "as labeled by the music industry" including gospel, blues, jazz, R&B, pop, soul/funk, and hip hop. A Los Angeles native, Melvin Lee Davis was discovered at the tender age of 16 by Buddy Miles, when a horn player from Buddy Miles' band heard Melvin playing in a local club. He has toured and recorded with Chaka Khan, the Pointer Sisters, Lee Ritenour, Bryan Ferry, David Benoit, Larry Carlton, Patti Austin, Gladys Knight, and many other top acts.